A pair of faux bronze busts as gifts for company founders. 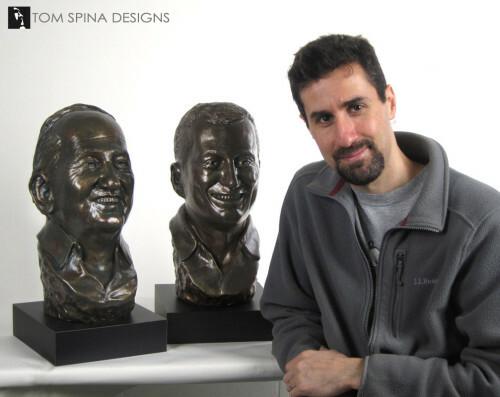 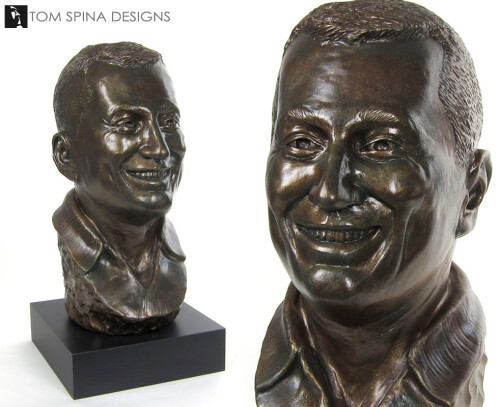 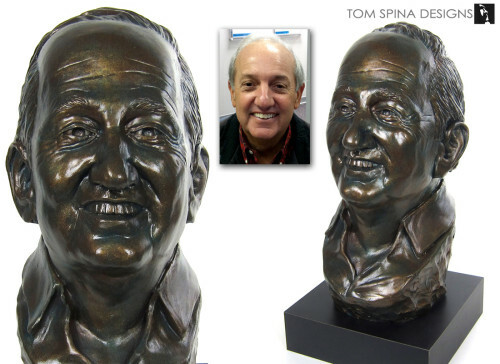 These two custom made life size bronze busts were created from photos of the subjects by sculptor Tom Spina. 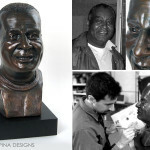 Each faux bronze bust was sculpted in water based clay, molded in silicone, cast in resin and dense foam & then treated with our realistic faux bronze finish. 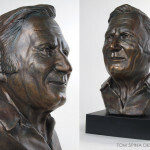 Using resin, which a material similar to fiberglass, allows us to create a lightweight sculpture that displays beautifully without the foundry costs. 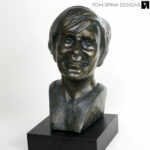 These tribute busts were unique, surprise gifts given by the co-workers of our subjects. By creating our sculpture from photos, we maintained the surprise and gave our clients a truly unique idea for these corporate gifts! 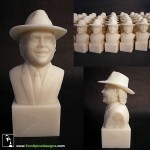 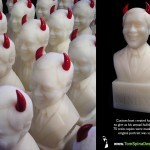 Are you looking for a unique corporate gift to honor someone?